The Safire Racing team for the 2014 season of F1 in Schools. Please welcome the new team manager of the team, Julian. 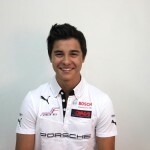 As the Team Manager, he is the central brain of Safire Racing, and manages all processes in all areas. In close collaboration with all team members, he also manages finances, and the presentation and communication of the team towards sponsors. 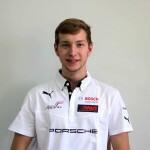 As Julian is already experienced in the F1 in Schools project as the Resource Manager of the 2013-team, he knows in which direction to guide the team, eventually leading to absolute success in the National and World Championships. Max is once again the creative mind of the team. As he has introduced a radical new design concept for the SR cars, he will now design the next beautiful and innovative car to compete with in the UAE Nationals 2014. The design process has already begun, and we can’t wait to show you the first sneak peaks of the new car. Jounes is responsible for the manufacturing process of the car and all additional components. He works closely with Max to ensure the proper manufacturing processes. Keeping in touch with manufacturing companies around the world, he coordinates the manufacturing milestones and even manufactures parts himself. This confirms Safire Racing not only being a participating team in the F1 in Schools competition, but as an expert manufacturing and design “company”. Nada takes up the role as the Lead Designer. She is therefore responsible of all of Safire’s looks, including the car, pit display, presentation and media design, portfolios, etc. This is an extremely important aspect, as a fixed brand design is very important to make sure everybody immediately recognizes Safire Racing. 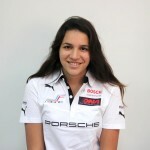 Dalia is the most experienced member of the Safire Racing team, as she is participating for the third year now. She takes care of everything regarding PR & Marketing. 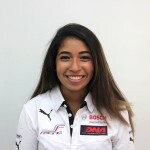 Making sure that Safire Racing is represented in media and creating its image, she will work hard with press, and the other team members to create marketing concepts that promote the team and the project. But that’s not all… Behind the scenes we have Benjamin Lützkendorf and Milan Dlabal, both from the German International School Dubai as the supporting teachers; Christopher Land taking care of the website administration and contents, and digital media production; and Laurenz Bissada and Till Blaha supporting the design process of the car with ideas and previous experience. Safire Racing 2014 is ready! Even though it is our third season, it doesn’t mean everything get’s easier. We still work in a hard competition, and it’s important to never drop the continuous development. 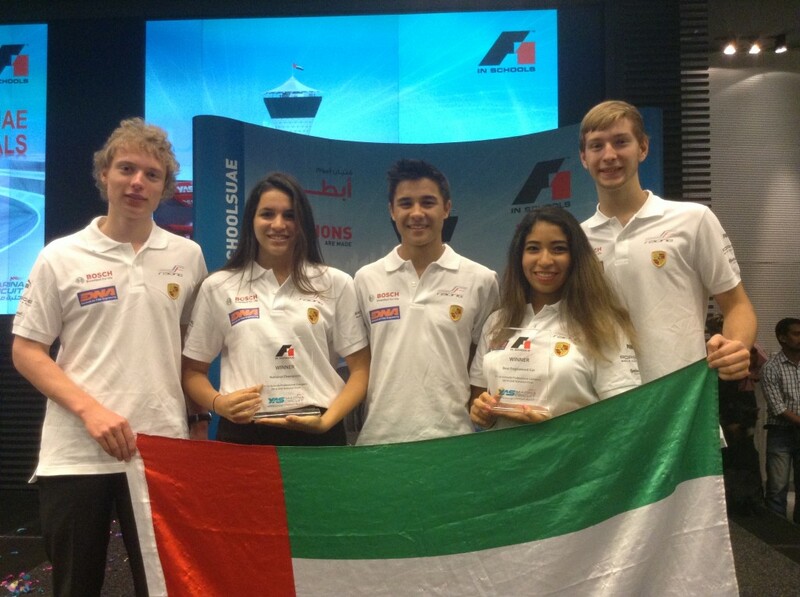 After winning first place in the UAE Nationals 2014, we are extremely excited to once again represent the United Arab Emirates in the F1 in Schools World Finals 2014 in Abu Dhabi. Let’s make this our home game.